Son of Mark Casse will depart his father’s operation, open his own stable in 2018. The white Jeep Cherokee is on one of its final runs for the morning. It rolls up to a Churchill Downs backstretch security gate, and the driver signals to the guard that he’s coming through again. It winds down the side of the Longfield Avenue parking lot before coming to a stop near the stairs leading to the clubhouse boxes, where Norman Casse hops out from behind the wheel and hustles up the metal steps to oversee his final set. It has been a good morning as far as Thoroughbred racing’s most quoted assistant trainer is concerned. The famously ornery World Approval was his usual professional self in his gallop and—24 hours later—will fire a bullet five-furlong work Oct. 13 that will do nothing to dispel his status as one of the favorites for the Nov. 4 Breeders’ Cup Mile (G1T).A handful of weeks prior, Casse and his father, trainer Mark Casse, thought the multiple grade 1 winner might be the only runner carrying the torch for their operation during the World Championships at Del Mar. One positive stretch of fortune later, and the contingent stands at seven for Casse Racing, which will attempt to take home Breeders’ Cup hardware for a third consecutive season. A handful of weeks prior, Casse and his father, trainer Mark Casse, thought the multiple grade 1 winner might be the only runner carrying the torch for their operation during the World Championships at Del Mar. One positive stretch of fortune later, and the contingent stands at seven for Casse Racing, which will attempt to take home Breeders’ Cup hardware for a third consecutive season. Two years ago Norman Casse watched his father overcome with emotion on the Keeneland track, when eventual Eclipse Award-winner Tepin gave the barn that was previously 0-for-23 in Breeders’ Cup races its second such triumph in as many days. Last season, the elder Casse—once content to be a Woodbine-based virtuoso—doubled down on his stable’s growing reputation as a national force when he saddled Classic Empire to a championship-clinching victory in the Sentient Jet Breeders’ Cup Juvenile (G1), earning winter-book favorite status for the first leg of the Triple Crown in the process. All this and more has been dashing through Norman Casse’s mind on repeat, and the Louisville native is particularly reflective of late. Staring out at the sport’s most famous oval, hands in his pockets, eyes shielded by his ball cap, he can see his charges start to make their way toward the gap leading back to the barn—his refuge for the better part of the last five years. He almost—almost—let the emotion of what brought him to this point, and the massive undertaking he will soon embark on, catch in his throat. “I have everything that I wanted. I have horses in Kentucky, we have Breeders’ Cup horses, we have (Kentucky) Derby contenders every year,” Norman Casse said. “Everything that we could possibly want, we have. The concept of Norman Casse shedding his “assistant trainer” label and opening his own public stable has been discussed in terms of when, not if, amongst himself and his father, who was inducted into the Canadian Hall of Fame in 2016. What was an abstract idea now has reality bearing down upon it as, effective spring 2018, the younger Casse will officially depart his dad’s company and hang out his shingle in his home state. 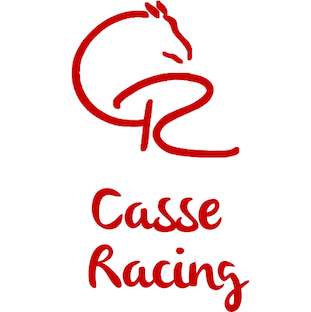 Those who have watched the wheels of Casse Racing turn during the last several years know Norman Casse’s decision to go out on his own is as inevitable an outcome as one can have in a sport where nothing is certain. Just more than a decade after getting smacked with the realization that the career path he didn’t grow up dreaming of was actually his dream job, the 34-year-old went from not knowing how to walk hots to working as one of the central figures within an operation that has become a multi-divisional threat at racing’s top level. Since joining his father’s team, Norman Casse has honed some of the barn’s top runners. He was the day-to-day overseer of two-time champion turf female Tepin, and helped develop the daughter of Bernstein into a global standout who bested grade 1 males in three different countries—including her victory in the 2015 Breeders’ Cup Mile. The third-generation horseman has also become as articulate and accessible a spokesperson as any conditioner in the sport. 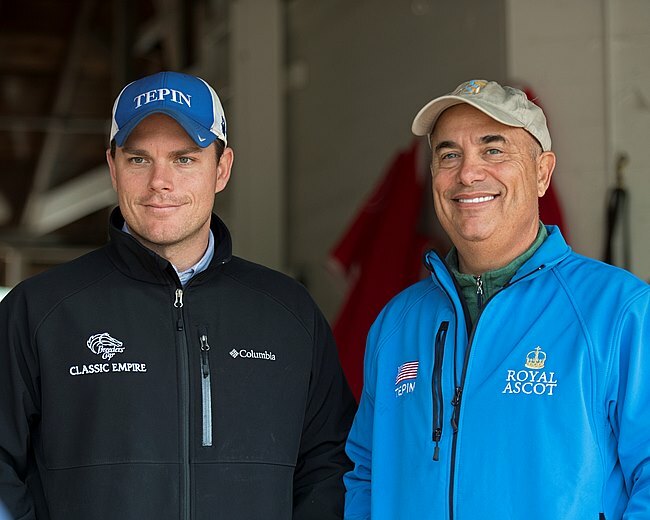 He toyed with the idea of making this break for himself a year ago, but with Classic Empire in the barn and plans to bring Tepin back for a 6-year-old campaign, he wanted to be at his father’s side for what figured to be a heck of a ride in 2017. As he readies now for his final Breeders’ Cup venture backstopping the family patriarch, he does so resolute in the knowledge he could not be better prepared to make his own name. “I just feel like it’s time. I don’t think there is any perfect time to do it, but I feel like I’ve learned everything I can learn and I’ve done everything I can do in the capacity that I am in now,” Norman Casse said. “For personal growth and professional growth, I just think it’s time to branch out and do it on my own. If the upcoming portion of Norman Casse’s story has been expected for some time, its kickoff was something that threw him for a bit of a loop. Though intrinsically linked to the industry since birth, the namesake of his late grandfather came to this juncture of his own volition. On the afternoon of June 14, 2016, America’s reigning champion turf distaffer was preparing to deliver a swift kick to the notion that U.S. grass horses were lesser individuals on an international stage. Despite the tight quarters of the stalls at Royal Ascot, the bay mare was her usual unfazed self in advance of what would be her historic victory in the Queen Anne Stakes (G1), oblivious to the fact that the father-son duo tightening her girth was having a moment that seemed improbable 10 years earlier. “Here Norman and I are back in the barn area saddling Tepin together, and you know, it was emotional for me,” Mark Casse recalled. “We’re putting the saddle on one of the greatest race mares of all time, and here she is in England, with the entire world watching, and we’re representing the United States and … it wasn’t just about Tepin. It was for us. That moment of him and I in the stall together may have been bigger than any victory. Not Norman Casse, at least not until he reached out to his father in frustration in 2006 and let him know what had been bugging him in recent months. The business degree Norman Casse earned from Bellarmine University couldn’t compare to the passion he had unearthed for himself a couple years earlier. Unlike his father, who knew from the time he could do long division that his path in life was trainer or bust, the younger Casse didn’t fall down racing’s rabbit hole until 2004, when he found himself enthralled with Smarty Jones ‘ stirring run through the American classics. Though initial plans called for him to head to Florida after graduation to help run the business portion of his father’s operation, Norman Casse discovered in short order that path would not work for him. So Mark Casse found himself with a doozy of a message coming through his phone from Ocala—his eldest son wasn’t where he wanted to be, because what he wanted after all was to follow in his footsteps. There is something to be said for having a set of fresh eyes come in and evaluate a situation. Because his perspective was being crafted on the fly, Norman Casse was able to absorb his lessons quickly and subsequently identify some avenues he thought needed to be shaken up. A running joke to this day is that Mark Casse is often mistaken as being a native of Canada—a byproduct of the Indiana-born conditioner’s nine-time Sovereign Award-winning success at Woodbine. There was a point in the late 1980s, however, where his barn was one of the top operations on the Kentucky circuit. Among the things Norman Casse is most proud of is convincing his father to let him go back and reclaim home-court advantage. In July of 2016, the normally cool assistant gave in to pure jubilation when Casse Racing clinched the Churchill Downs spring meet training title, its first at the track since 1988. “I was going along quite content just in Canada. We were going along doing really well. … We were winning a lot of big races and we were leading trainer and I was fine with that,” Mark Casse said. “And what came along (with Norman), kind of at the same time was getting (owner John) Oxley (as a client). With Mr. Oxley getting more back into the game, Norman kind of brought for us the ability to spread out again because, like I said, I was quite content in one place. Sitting in the Churchill Downs boxes Oct. 12 watching his charges finish up, Norman Casse detailed the logistics of how his exit from his father’s operation will go. He will remain with Casse Racing through the winter, when they shift their base to Florida, hopefully prepping their next potential classic contenders. By the time the Keeneland spring meet gets underway, he will open his own barn at either the Lexington track or Churchill Downs. “Whoever gives me stalls,” he said. And that’s when the really difficult portion of this program will begin. As much as bloodlines are prized in the Thoroughbred racing, they guarantee nothing in terms of success. If anything, bearing the weight of an established name can serve as more curse than blessing, which is why Norman Casse hopes the industry standing he has built for himself will resonate more than his surname when he sets out to secure his own clients. In thinking about what lies ahead, Norman Casse morphs into his father’s son. For all the teasing he has unleashed upon his dad for being the openly emotional one, certain thoughts prompt a long pause between his words these days—like having to say goodbye to his longtime staff when he departs Florida next spring, like not clocking those runners bearing the red saddle towel with the white “CR” artfully embroidered in the lower corner. But for now there is business to attend to. He has an arsenal of Breeders’ Cup runners to put through their final paces. For an operation that had massive holes to fill this year with Tepin’s retirement and Classic Empire’s run of quirks, they are a couple wins away from likely needing Eclipse Award tickets for yet another season should World Approval reign in the Mile and Heavenly Love prevail in the 14 Hands Winery Juvenile Fillies (G1). It is everything Norman Casse wanted. Now he wants it for himself. “This is harder than telling Dad that I wanted to do this 10 years ago, because things are so good,” he said. “Everything about (leaving) is hard. I’ve got a great job. Dad is a great boss. I know he’s so proud of doing this because I’m part of it, so that’s hard.